Canada: one of San Diego’s largest export markets and one of San Diego’s top 10 sources of foreign investment. Canada: one of four international destinations of which our international airport has direct flights. When your region has a full-time consul corps representing their country, you know your region must have strong trade connections. This is apparent even more so when you look at one of the consulates which have a full-time presence here: Canada. The Canadian Consulate in San Diego, spearheaded by Lisa Stockley, represents one of San Diego’s largest trading and investment partners. Having a strong partnership with the consulate ensures that businesses in the region have access to critical support for their endeavors of expanasion into Canada. Additionally, it provides San Diego the visibility so Canadian businesses can learn about the regional economy and expand here. Canada is the 6th largest source of foreign employment in San Diego. From wireless communications with Blackberry, to computer equipment manufacturing with Sierra Wireless, and gaming accessories manufacturing with Mad Catz, Canadian businesses encompass many aspects of San Diego’s economy. The diversity of Canadian companies doesn’t just span industries, it also encompasses companies at all stages; Not only do larger companies locate to San Diego, but startups in Canada have begun to realize the potential for growth. Koriist, a software developer for military communications, is currently housed in the downtown startup incubator EvoNexus. Not only do smart companies from Canada want to trade with San Diego, but so do the people. According to a report published by Beacon Economics, more than 13,500 of the residents in San Diego County were born in Canada, making them the 7th highest immigrant population in the region. These residents are highly-skilled workers, with more than 42 percent of these them holding a Bachelor’s degree, compared to about 35 percent of the region as a whole. Not only are these residents smart, but they work primarily in some of the region’s most innovative companies. The sectors with the highest concentration of workers for Canadian-born residents are healthcare and the professional, scientific, and technical industry – key sectors which represent the innovation economy. Having a consulate or any foreign office in San Diego representing their diverse and important workforces and business communities strengthens our economic bonds with our foreign partners. 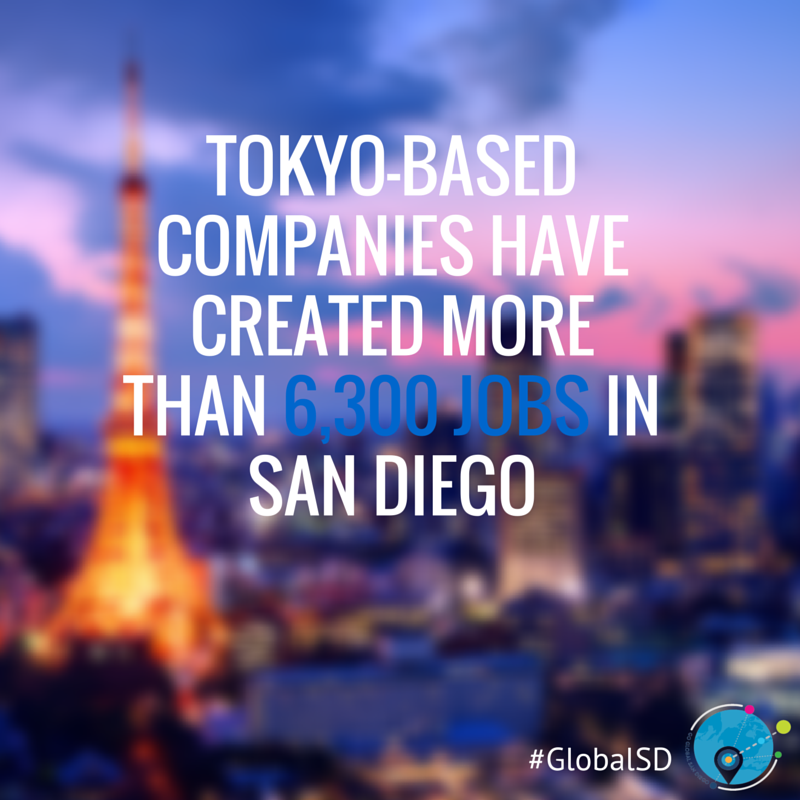 Luckily, the Go Global San Diego initiative aims to establish two additional foreign offices in San Diego as part of its main goal to maximize the region’s economic competitiveness and prosperity through increased global engagement. To gain more information about Go Global San Diego go to www.goglobalsd.org and learn about the trade and investment initiative, MetroConnect, and many other important tools to help businesses go global.